With dozens of inches of rain/snowfall in the Jackson area, water damage is an ever increasing problem. No homeowner wants a leaky, moldy basement. 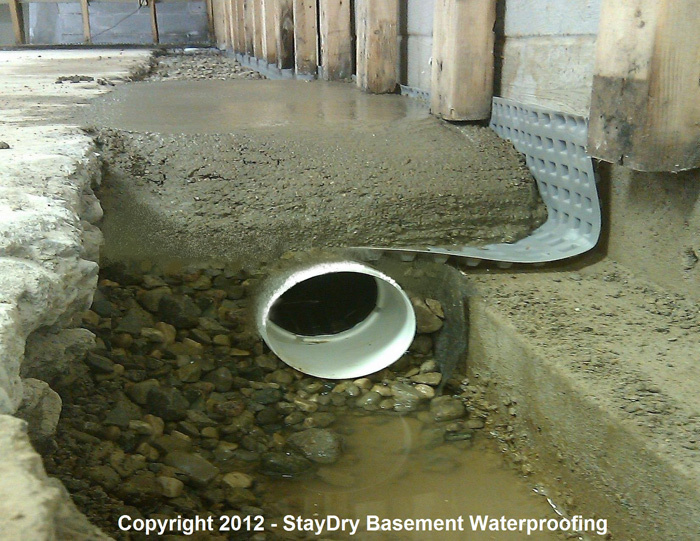 StayDry Waterproofing of Jackson is ranked #1 in the basement waterproofing industry. 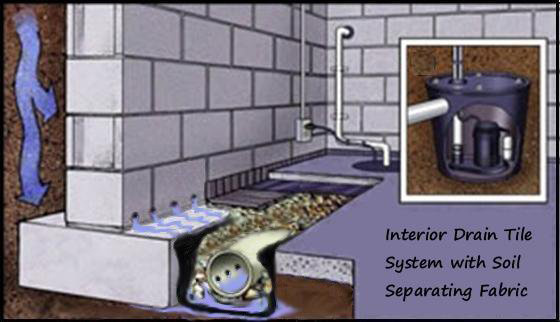 We have highly trained and professional service experts to discover the cause of your basement leak and get it fixed. 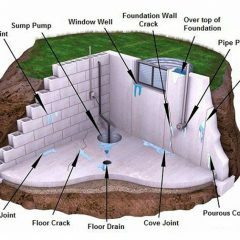 Our services include: interior and exterior basement waterproofing, crack injection repair, foundation and crawl space repair, mold control along with many other services. We are so sure you’ll love our work that we offer a 100% fully-transferrable warrantee on almost every service we perform. With a reputation like ours, how can you go wrong? Call our Jackson office at 1-800-STAY-DRY for your obligation free consultation today! Michigan gets a great deal of precipitation throughout the year. Jackson, being in the center of the state, suffers greatly from the lake effect caused by the Great Lakes and gets a significant amount of moisture year-round. This leads to an increased risk of basement flooding in the area, which can lead to a host of environmental and structural hazards. Avoiding water damage is essential if you live in Jackson, Michigan. Here at StayDry, we provide residents of Jackson with basement waterproofing services to better protect your home from these hazards. Michigan’s climate is notorious for being hot in the summers and cold in the winter with high humidity year-round. The summers receive a fair amount of rain while winters are characteristically full of snowy days. The high level of precipitation is cause for alarm for many homeowners in Jackson. This raises your risk of basement flooding which can lead to structural and health hazards. We understand how distressing it can be to have your personal belongings damaged or destroyed in a basement flood. This is just one of the many reasons we offer our services to Jackson residents. 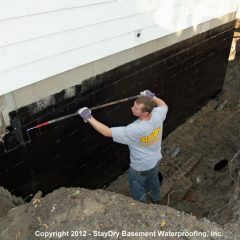 Additionally, we offer our exterior basement waterproofing system for homeowners who are at high risk for flooding. While this is more extensive and requires exposing the exterior of your home’s foundation, it is the most fool-proof waterproofing method that we offer. I have a stone crawl space. 750 sq ft. Would like a new crawl space installed. Roof leakage due to rainfall. There is water that is flowing in through multiple areas through the foundation in the basement. was looking for a quote to have it waterproofed. Water in the basement. Not flooding but streams from the wall along the driveway. Due to the heavy moisture in Jackson, most homes require basement waterproofing to prevent flood damage. It is far easier and cheaper to prevent water from entering your home than it is to remove it. If there are any cracks in the walls of your house, or if your doors and windows are hard to open, your foundation could be settling. 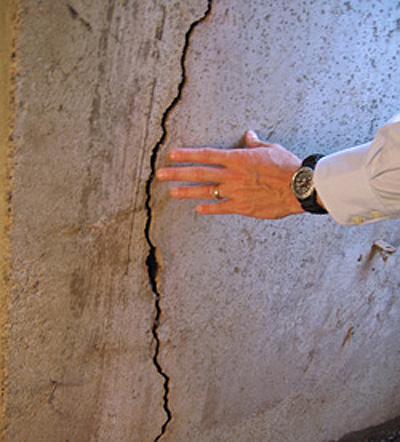 Foundation settling is common, but not sealing cracks can lead to further damage. 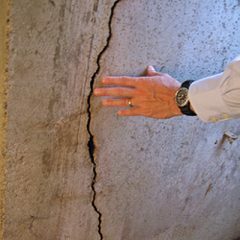 Vertical cracks are less threatening than horizontal ones, but they are still vulnerable to expanding and letting water inside your home. If you have recently moved or are unsure about cracks in your foundation, call StayDry today, and a hero will come inspect your home. Sometimes it is difficult to locate cracks. 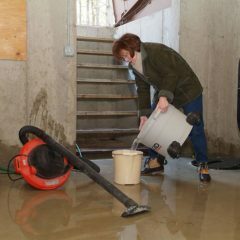 If water is coming into your basement, sometimes it takes a professional to diagnose the problem. Those who recently moved into a new home may not know about previous basement problems, or they have not yet identified all the small cracks. StayDry is a family-owned company, and for the last thirty years, we have hired trustworthy professionals to evaluate homes and bid the fairest price. Sometimes a seal injection is the only thing necessary to keep water out. If a home has a faulty sump pump or drainage system, the problem is only going to get worse. Whatever the case, preventing floods is easier and cheaper than cleaning up after one. Call 800-800-7073 for an obligation free consultation. At StayDry, we do not cut corners. 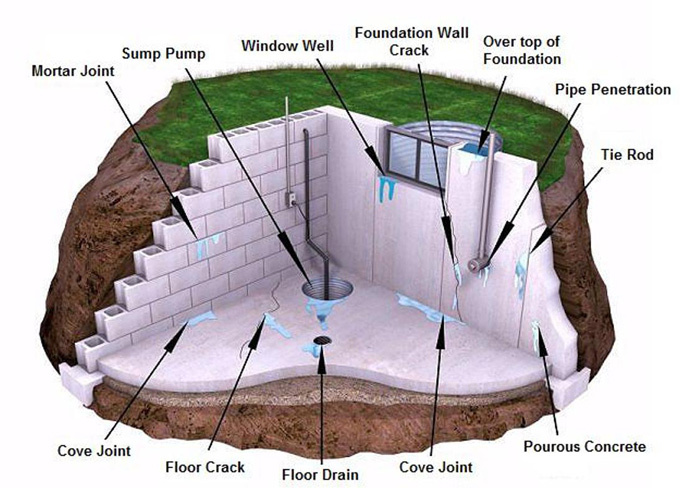 Even though crack injection is the easiest way to prevent cracks from expanding and letting in more water, many basement waterproofing companies have low-pressure systems that don’t work. 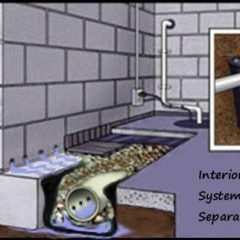 We believe that basement water problems need to only be solved once. Our high-pressure polyurethane injection system prevents cracks from spreading and keeps out all water. StayDry professionals are expert consultants, and they will inform you if any additional repairs are necessary. Crack repair is easy, but sometimes completely stopping leaks requires more effort. Exterior waterproofing is one of the most effective ways to prevent water from entering your home. If you live in an area with a high water table, we highly recommend our exterior waterproofing services. First, we dig a trench around your basement and lay a drain pipe to move any excess water away from your home. Then, we apply a mastic tar adhesive and sealant along the walls of your foundation to give your home an impermeable seal. Finally, we install a foam insulator and fill the trench. 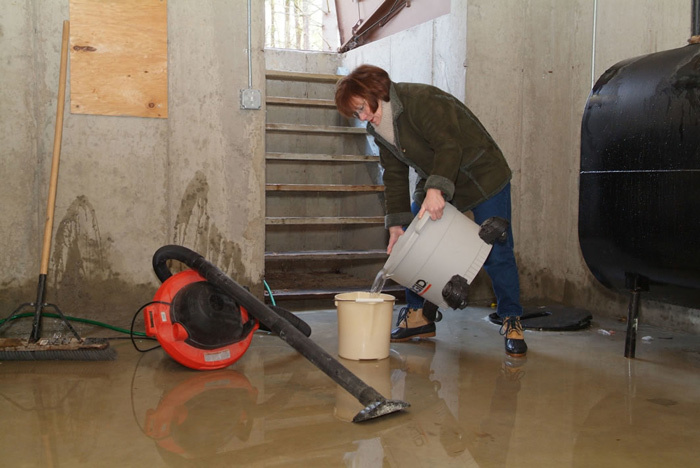 Sump pumps remove water that accumulates in and around your home. During the spring and summer, water accumulates in the soil around your house. 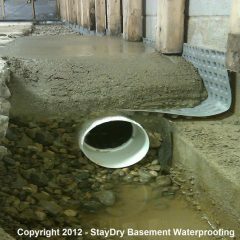 The StayDry French drain picks up that water, that the sump pump moves it away from your house. A bad pump can result in a flooded basement, so it’s important to choose the right professionals. The exclusive PumpSpy comes with extra batteries and a backup pump so that if anything happens to the sump pump while you are away, you won’t come home to a flooded basement. We can’t stress the damages of basement floods enough. As a Jackson homeowner, you should be well prepared in the event of a flood, as they can be quite devastating. Water entry can compromise the structural integrity of your home, putting everyone inside in danger. Additionally, mold growth is a common result of basement floods and it can present numerous health effects to you and your family. In short, you should prevent damage before it occurs, since repairing it is often expensive and time consuming. If your Jackson home is at risk of flooding, you should protect your home and your property with a sound waterproofing method. 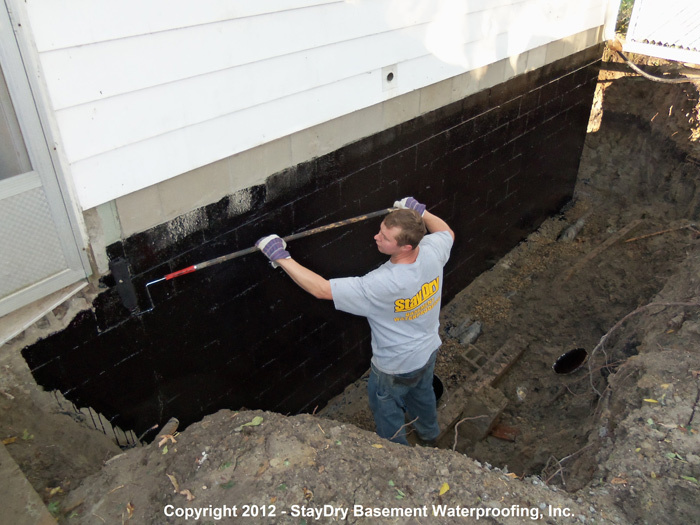 Here at StayDry, we offer the best waterproofing services in the state to the residents of Jackson, Michigan.